The Santa Clara Valley Water District (SCVWD) manages an integrated water resources system. It ensures the supply of clean, safe water and provides flood protection and stewardship of streams on behalf of Santa Clara County’s 1.8 million residents. The district effectively manages 10 dams and surface water reservoirs, three water treatment plants, a state-of-the-art water quality laboratory, nearly 400 acres of groundwater recharge ponds, and more than 275 miles of streams. By managing asset data in IBM’s Maximo, a computerized maintenance management system (CMMS), the district could leverage Maximo’s reporting, preventive maintenance, work order, and asset management capabilities. This would allow SCVWD to track an asset’s life cycle and monetary costs for use in reports and maintenance scheduling. After looking at these project requirements and available software products, DWAMU decided to use Esri’s ArcPad mobile field mapping and data collection software. 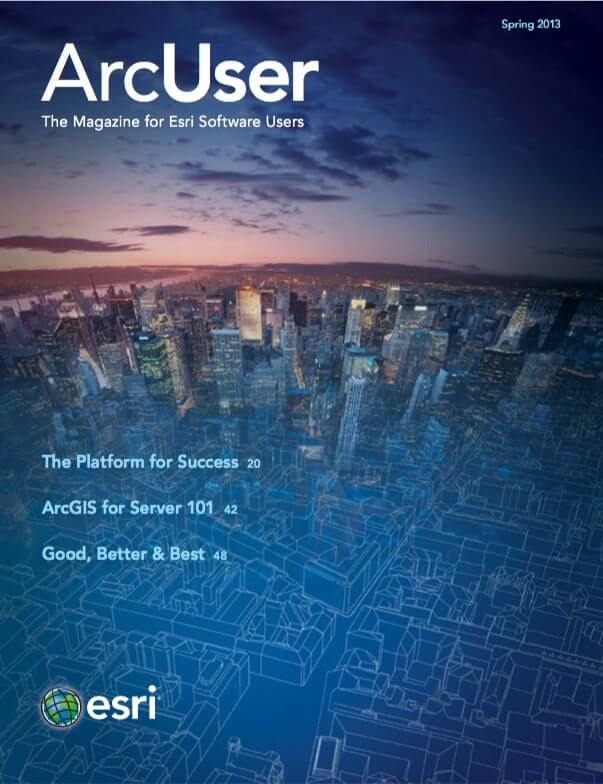 ArcPad was chosen because it can use multiple GIS layers and is compatible with equipment that had already been purchased for the project. ArcPad is also relatively easy to customize. It can be used offline or online, can be used for editing existing GIS features and related nonspatial tables in the field, and allows photos to be attached to records. 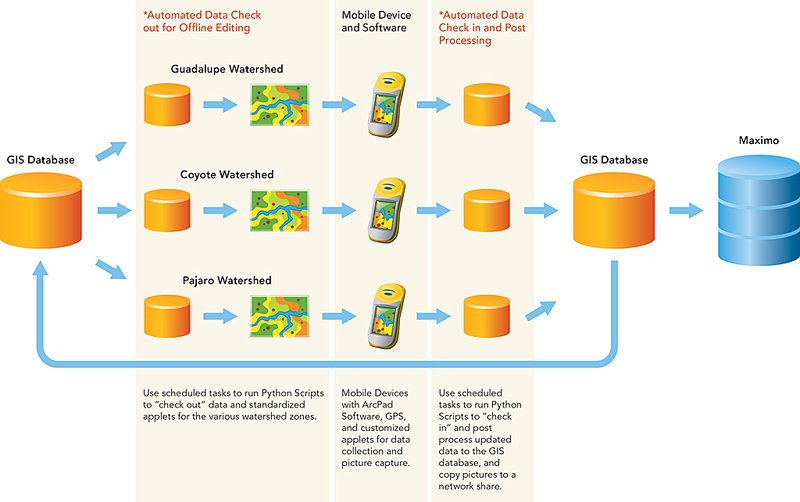 Once trained, GIS analysts could modify code and develop automated processes that made the system easy for field staff to use. 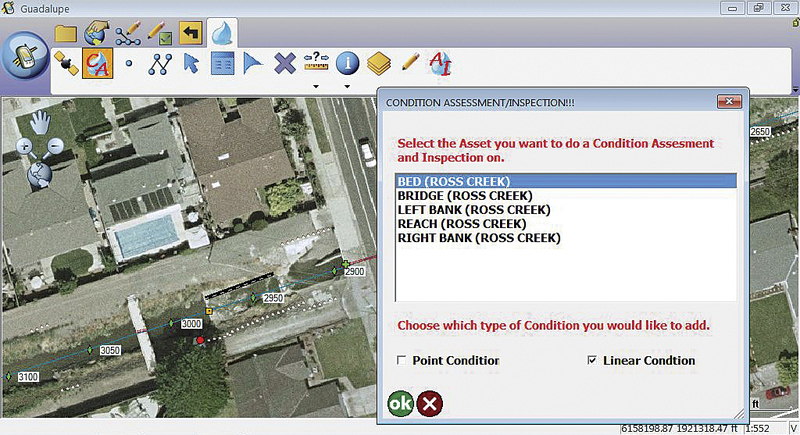 GIS analysts leveraged ArcPad’s ability to relate features to tabular records to build inspection record forms. Field staff record all scoring and measurement values in the inspection forms. This is also where the probability-of-failure scores are inserted as well as pictures.